Our Fully Qualified Gas Safe Engineers Are Among The Best In Docklands. Are You A Landlord In SE16 Requiring A Gas Safety Check & Boiler Servicing? Have you found great difficultly finding reliable, qualified gas safe engineers in Docklands (SE16)? Give Trustworth a call today on 020 8670 4443 today. We live and breath our profession every day. Our team is obsessed with every aspect of gas safety. We are experts that always carry out tasks with 100% care and precision. 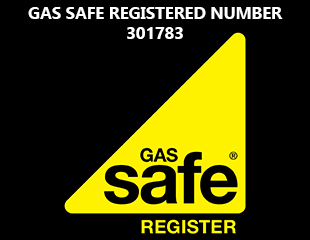 All of our local engineers are legally registered with the Gas Safety Register. You can always be 110% confident that our fully qualified professionals, can handle any job. Read reviews about us on the internet about why we're such a trusted company. The first task our engineers do on arrival is to first show you their registration card. You can check our registered number (301783) online. Our team always do precision work on every job. Our expertise is vital and we are happy to give advice when we can. We never cut corners when carrying out safety checks. Our number one rule with gas work - never take any risks. Our company have gained vast experience, over the years. We have loyal customers as well as new ones. Our Docklands gas safe engineers are very experienced. They can handle enough handle all types/degrees of installations, repairs and servicing. They will arrive at every with all their tools and equipment in perfect condition. Our gas engineers cover all the following boroughs: Greenwich, Lewisham, Southwark and Newham. Our emergency call-out option enables you to contact us anytime of the day. Docklands is a very famous riverfront and has leading commercial businesses located their. The local railway is iconic and was seen as an innovative step forward for transport. Our gas engineers provide expert services for top companies in the region. Some of the best gas safe engineers Docklands has can be found at our company. London Docklands is seen has one of the most important business hubs in London. There are many important financial institutions there. You will find the best bars and restaurants in the city located there. From the innovate light railway service and the skyscraper landscapes, it is one of the most iconic parts of London. We have the skill, experience and expertise to provide the highest quality services in SE16. If you are a big business that has a gas emergency, count on our engineers to help. Our company feels strongly about the following pointlessly use a registered company that is legally registered to do gas work. It beggars belief people go against this advice. The consequences can be fatal if you use an unqualified person. Safety has to be your main priority. Not saving money to get work done cheaper. Some of the most reliable gas engineers Docklands has are at Trustworth Plumbing. Very hard-working and knowledgeable; they do the highest quality, durable work. We make it a priority to always keep up with the technologies, industry requirements and regulations. Our team adheres to total professionalism at all times. Our mindset has always been focused on that vital attribute. Our expertise includes identifying issues with existing gas appliances. Many which are due to a previous installation, from another company. 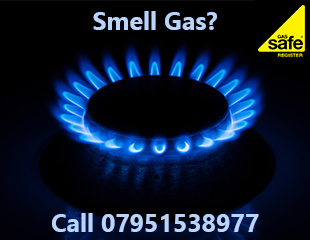 If you live in SE16 and smell a possible gas leak at your property - call us right now. Do not second guess yourself when gas is involved. Contact our expert emergency response team immediately on 07951538977. The following helpful advice is important to read. In the event of a leak try and open all relevant doors and windows in your house/property. If possible, quickly switch off the appliance that you suspect the leak is coming from. Never turn that appliance back on in any circumstance. If possible, safely turn your gas supply off at the mains. Our emergency gas engineers in Docklands always aim to arrive as soon as they can. If your gas supply is on when they arrive, they will switch it off for you. If anybody is showing symptoms that their health has been affected by the leak, we recommend that you seek immediate medical attention. For all your gas appliance (boiler/cooker) installations and checks in Docklands - hire a fully qualified engineer. 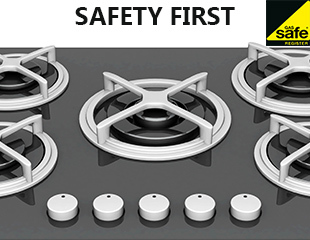 Do you need a new gas cooker expertly installed in your kitchen? Do you need new gas hobs fitted instead? Some people make the reckless mistake of hiring an unqualified person to install them. It is not a risk that is worth taking? It is illegal and can land you in trouble. We do all the important checks to verify everything is in perfect working condition. Trustworth Plumbing is among the leading companies in South-East London for precision boiler installations. We can install a range of boilers ( Worcester Bosh, Potterton, Baxi, Ideal, etc). Our gas engineers always receive excellent reviews and feedback. Our gas engineers can help restore warmth to your home in the winter.